Westmeath legend Dessie Dolan has announced his retirement from inter-county football. 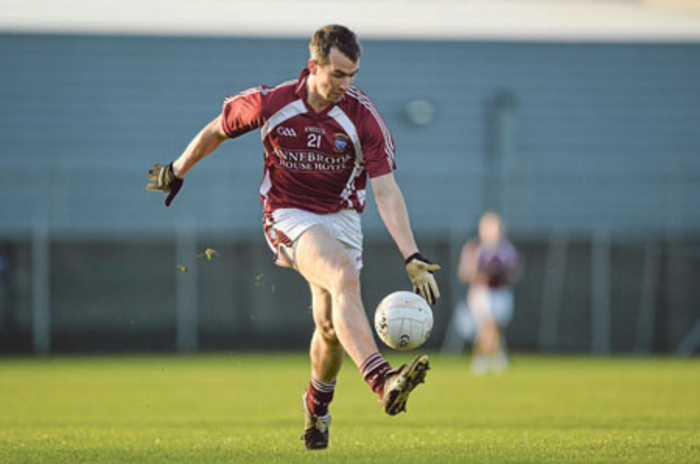 The popular Garrycastle attacker won’t feature in the maroon and white jersey again following last Saturday’s round 1B All Ireland football qualifier loss to Cavan at Kingspan Breffni Park. “My time is up now in the Westmeath jersey,” Dolan said when speaking on Sunday Sport on RTÉ Radio One last weekend. “I’ve played for 16 seasons since 1998, [but] I’ve enjoyed it an awful lot, but it is time now to hang up the boots. When asked about the highlights of his inter-county career Dolan replied: “Obviously winning the Leinster title was incredible. I’ve two Leinster u21 titles and a Leinster senior medal, the All Star was a nice thing to get. The time Paidi [O’Sé] came to town was a roller coaster of emotion. He brought so much and he was a real character. Going into Croke Park taking on Dublin in front of 67,000 people and beating them was incredible. The run for the 2004 Leinster was brilliant and it doesn’t happen enough in the GAA. It happened when Leitrim won in Connacht in the 90s and it is a pity it doesn’t happen more often. “I will miss it, I’ll play a bit of golf. I’ll miss the buzz of getting on the bus going to games. You can get very frustrated and disappointed with how things are going, but then in a Championship match when the crowd is there that is what it is all about. I will miss it, but I feel I’ve given it everything for the years I have done so I don’t have too many regrets.” Those who watched him for Garrycastle and NUI Galway amongst other teams will always appreciate Dolan’s enduring excellence.